Spar has been expanding steadily in 2017, leveraging individual franchises as well as stores fully owned by master franchisee Balfin Group. Spar in Albania plans to double its store network by the end of 2017. As LZ Retailytics learned from Spar International, Balfin Group, the Albanian Spar master franchisee and the country’s largest investment company, is expected to operate 30 stores at the turn of the year. After the initial store base was converted from more than a dozen Carrefour shops to Spar’s banners in 2016, this year’s growth was supported by the opening of individual franchisees' as well as fully-owned stores. For next year, Balfin Group announced plans to grow by 20 additional outlets. 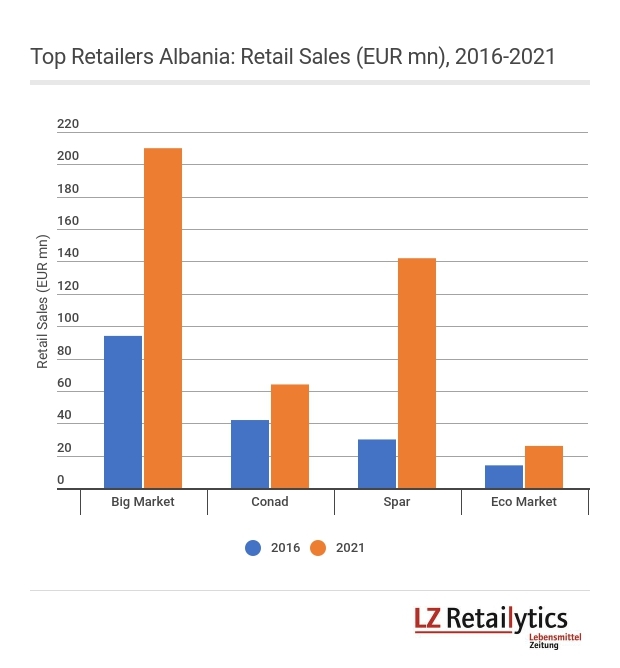 The Albanian grocery retail market is still characterised by the predominance of traditional formats, with organised retail accounting barely for a double-digit share of trade. Local grocery chain Big Market leads the field with a hundred supermarkets, while Italian Conad is the only international player other than Spar with a notable presence, operating several dozen stores. Spar has managed to take root in a market that many other international players have failed to open up. Ahold Delhaize, Carrefour (via Marinopoulos) and Slovenian Mercator – all exited the country after a relatively short presence. 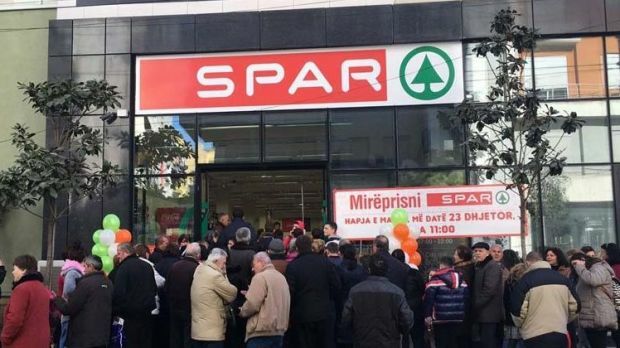 For Spar, however, this is not the case: After more than one year of operation, it has become evident that the retail brand has been accepted by Albanian customers. Partner Balfin Group is well-established in the region with ample experience in the retail and real estate sector. Spar is one of the remaining international players in the country, in addition to Italian chains Conad and Crai. Its franchise operations offer an internationally recognised option for smaller local retailers to improve their businesses. The market provides great potential for Spar thanks to its accelerating economic growth and low market concentration. We believe that the low market volume and unstable legal frameworks have been deterring other international players from entering the market without a local partner. This will provide Spar with an excellent opportunity to fortify its position. Due to its local partnership, we see the retailer advancing to the number two position by the end of 2017, leaving Conad on rank three. Taking into account the current market setup, we expect Spar to substantially grow its revenue within the next five years, narrowing the gap to Big Market. Owing to its franchised operations, Spar Albania will be able pass current number two, Conad, and narrow the gap to market leader Big Market.